Phenomania is engaged in disrupting your perception of the world as you know it. We do this by creating contemporary theatrical work at the intersection of curiosity and fear. We create without boundaries - of form, content or space - delighting in making you question what you know to be true. We are the crystal that fractures the white light you perceive into the myriad of colour that it is. We embody a spirit of collaboration, inviting artists to manifest theatrical works that question, tickle, vex, and captivate the imagination. We encourage artists and audiences to embrace the discomfort and despair intertwined in human existence as the alchemy for theatrical joy that can be a healing balm for living. Heather strives to create artistic experiences that invite people to see the world around them, and themselves, in a new light. She is driven to create experiences that leave an indelible mark, altering how people engage with their world thereafter. Christine is a dedicated public servant with a passion for the arts. Originally from Vancouver Island, she was educated at Carleton University in Ottawa and is a LEED accredited professional. Her work with the BC Public Service focuses on triple bottom line sustainability in the built environment. Christine brings this holistic and practical perspective to her role as a board member, as well as her responsibilities as board member for Vancouver based Delinquent Theatre. When she isn’t fulfilling her board duties, you can find her enjoying the latest theatre, music, dance, film and visual art offerings throughout Vancouver. Janet spent most of her career as a nurse in operating rooms across Canada until she took up the position of Manager of Surgical Services at Kamloops Surgical Centre. In 2006, she was awarded the Perioperative Registered Nurses Association of British Columbia (PRNABC) Recognition Award. She is recently retired and now focuses her time on her artistic pursuits. Janet is an accomplished fibre artist who uses multiple mediums to express her passion for colour. She has long been a supporter of the theatre as a patron, and makes valuable contributions as a board member, technical advisor, prop and costume maker, and as a encouraging parent. Samantha MacDonald is a producer and director, currently based in Calgary where she is the Artistic Producer of Lunchbox Theatre. She was previously Artistic Producer of Theatre North West in Prince George, BC, and the Associate Producer at Western Canada Theatre in Kamloops, BC. She is also the founding Artistic Producer of Project X Theatre, along with Derek Rein. 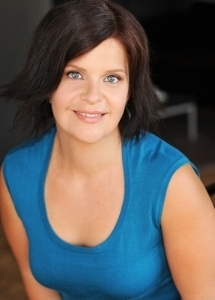 Anita is an actor based in Vancouver, who has worked throughout the Canada and the USA for 30 years. She received a degree in theatre from Temple University in Philadelphia and then went on to work in New York, Chicago and Louisville, Kentucky. In Canada, she has worked with Thousand Islands Playhouse in Ontario and with numerous companies in BC, including: The Arts Club, The Belfry, Chemainus Theatre Festival, Western Canada Theatre, Carousel Theatre, Theatre NorthWest and Pacific Theatre. She is an avid arts supporter who sat on the board of Project X Theatre in Kamloops, BC for two years before relocating to Vancouver and is so happy to now be supporting the work of Phenomania. 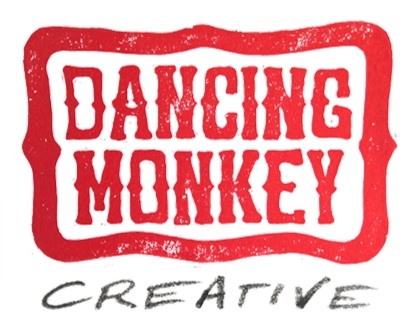 Dancing Monkey Creative endeavours to tell your story through stunning visuals. The focus is not only on looking cool, but being true to the essence of your business, group or show and communicating that to your audience. In addition to graphic design, Kirk Smith, the man behind the monkey, has many years of experience as an actor and performer, which gives him a unique insight into the needs of the theatre industry and has taught him to approach his design work with curiosity and enthusiasm. Whether it’s a logo, poster, ad, website, or t-shirt, it will have been created with great care and attention. And it will look cool.